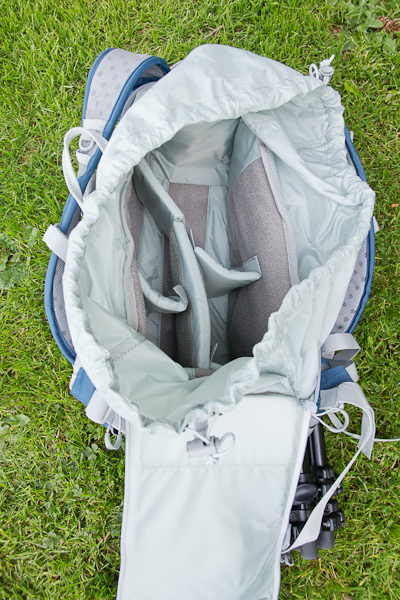 Over the last few weeks I’ve put the Lowe Pro Flipside Sport 15L AW through its paces. It’s had a warm reception to the Northwest’s spring by hiking up Mt. Si, hiking up Mt. Si, and getting rained on while hiking up Mt. Si. I’ve found it to be a great pack as a dedicated camera gear bag, but doesn’t quite hit the lofty goal of a technical climbing camera gear pack. The Lowe Pro Flipside Sport 15L AW carries all your camera accessories including tripod, lenses, filters etc without you noticing the weight on your back. I was hesitant at first to have a pack that I’d put all that weight in that didn’t have a real hip belt, but my shoulders never got sore hauling around my gear. To confess I carried my new 60D, heavy ball head tripod and cans of beer that represent the telephoto lenses I would buy if I had the money. This allowed me to have all the camera gear I needed and some tasty refreshment (try getting that out of an L lens!). 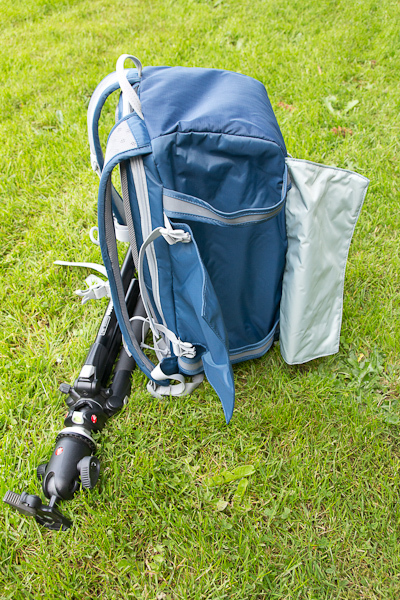 The tripod storage is well designed and the overall shape and stiffness of the pack helps you from feeling lopsided with all that weight on the side. I’ve used floppy daypacks with tripods mounted on the side before and always felt a little off balance – not something you want to do while scrambling (or walking on a path after enjoying your telephoto lenses). 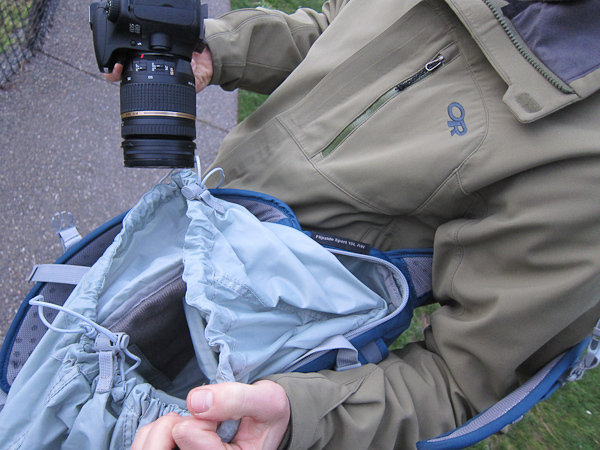 The built in pack cover proved its worth when the skies opened up, and you can still easily access your gear with the pack cover on, a real treat. The double pullcord water proofing inside the pack was a little awkward for my liking. I figure if I’m opening up my bag while its raining, I’ve arranged some other way to keep things dry for that moment and I don’t need to be messing with those pull cords. The Lowe Pro Flipside Sport 15L AW was an attempt to allow users to take their camera gear on technical terrain without compromising on the amount of camera gizmos you have at your disposal. What is missing, I believe, is room for any technical gear that would allow you to travel to these types of places. Where do I put my 10 essentials? I guess they could take the spot of a lens in the main pouch, but I think a better place is needed. It’s nice that the pack can take an ice axe, but with no place to hold or lash crampons, I question why I have an axe with me. If you’re trying to get somewhere for sunrise it’s going to be icy. If you’ve just shot a sunset, it’s going to be icy on the way down… if you needed an axe somewhere along your journey, it’s likely that crampons will come in handy. I haven’t yet had the chance of getting this pack up on multi-pitch rock routes, where it might come in handy as a summit pack. You could take lots of camera gear, stuff in that rain shell and some snacks in the place of a lens, and you’d be good to go. 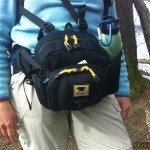 The fit of the pack will certainly keep it away from my harness and any gear I have stowed there. 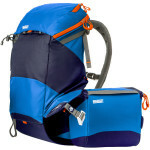 The issue I have, though, is that this pack would be difficult to haul to the base of your climb. 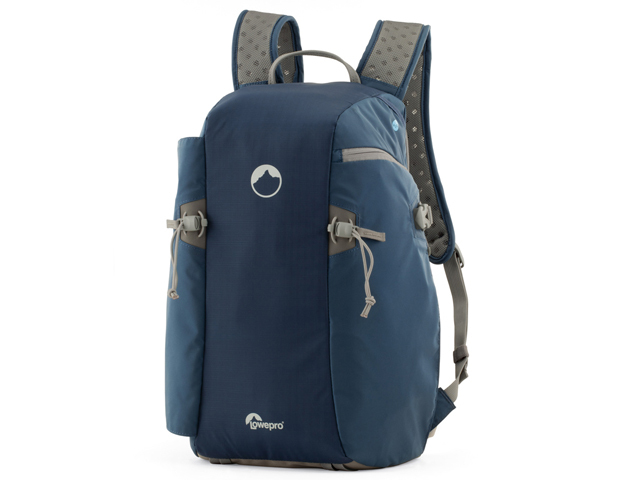 It’s not your main pack, as you can’t carry technical gear with you (think rope, pro, rock shoes, helmet, etc) and it doesn’t collapse well to carry it inside your main pack. 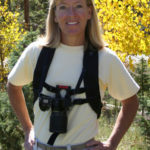 You’d have to lash it to your main pack and deal with the brush and climbing partners that you’re going to knock over while you swing your wide load of packs around. 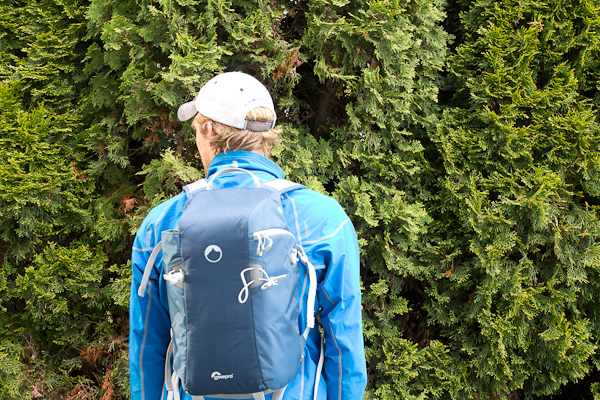 If you’re looking for a pack that will carry all your camera gear and will hold water and a bit of food, this is it. An excellent pack if you’re going on a hike explicitly for the photography and want to skimp on carrying much clothing and food extras. 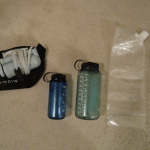 This is the pack I’d bring for a quick after work speed hike up to Rattlesnake Ledge for sunset. It is not what I would take for a full day technical hike or any overnight adventures. I wouldn’t recommend it for any type of technical terrain, save for some easy scrambling on rock without snowy approaches. Easily holds all the camera gear you own, and what you have on “wishlist” at B&H. Have to fight to open internal rain cover even if it’s not wet outside! 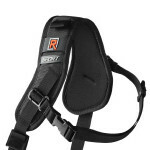 Hip belt is just a strap – ouch! Erik is an aspiring nature photographer who enjoys getting into the back country for unique views but also relishes the challenge of coming up with something new at the normal viewpoints. Erik’s articles will explain the methods behind how he creates his images and will encourage anyone to get outside and help showcase the beauty of nature. You can see his body of work at his website.